On July 5th 2014 Blackboard will be updated to the April 2014 Release. This means we also have to update the Collaborate Building block which brings in much greater flexibility to the way in which sessions can be scheduled and accessed. There are a number of changes that are important to highlight. 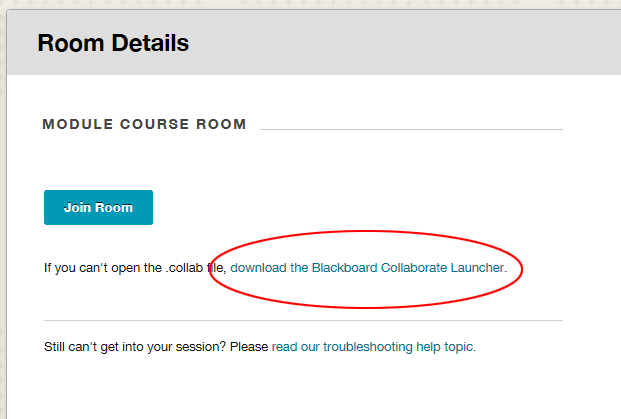 In an attempt to stream line any issue with Java, Collaborate have created the “Collaborate Launcher”. This is a small utility that runs on users computers that launches the Collaborate software when a link to a session or recording is clicked. This has been in use for Mac users for an academic year with no problems and this update now makes it compulsory for Windows users to have the launcher installed. It is vital that your students install the launcher otherwise they will NOT be able to join a Collaborate sessions or watch recordings. There are some updates to the scheduler which help to simplify the scheduling process. All of the options are now available from one single page with expandable boxes. The boxes contain the options which were previously found in the separate tabs. Please note: If you wish to use either of the 2 additional tools listed below you will have to switch them on in the Tool Availability options for your Blackboard course. The course room is a default room that is “always on” and lasts for the duration of the course. It can be used for a number of of different purposes. A virtual common room to allow your students to have synchronous communication and online collaboration. To run drop in sessions for the users of a specific module. Please note: If you wish to use this feature as “virtual common room” for your students to use unsupervised you will have to edit the room settings and switch on “All Permissions”. If you do not then students will not be able to use any of the tools rending the room useless. Additionally we strongly suggest that you make the change the Recording Mode setting to “Disabled”. My Room is a default room that is “always on” and lasts while the instructor has an account within the Blackboard system. 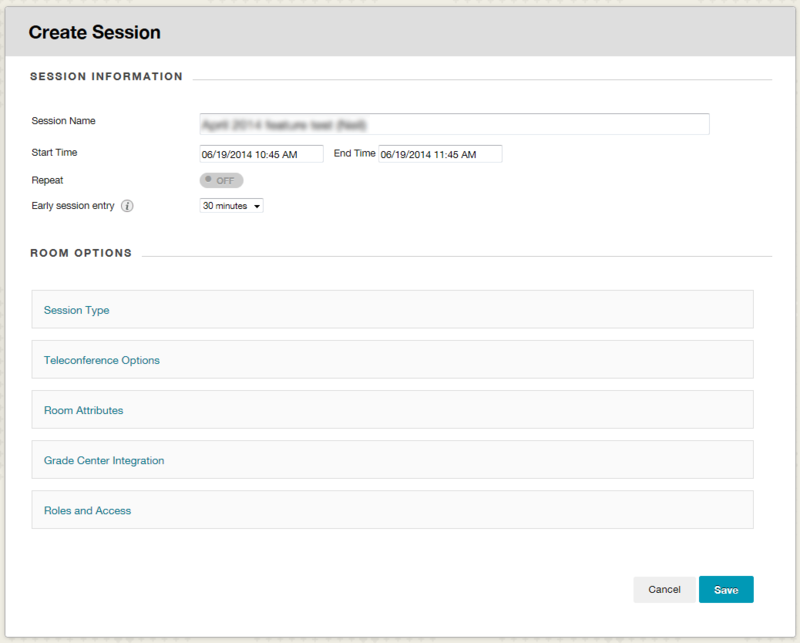 The session name defaults to the instructor name and is intended as a “virtual office” to provide office hours or help to users across all courses taught by the instructor. Any student from any module (that has the tool enabled) can join this room at any time.